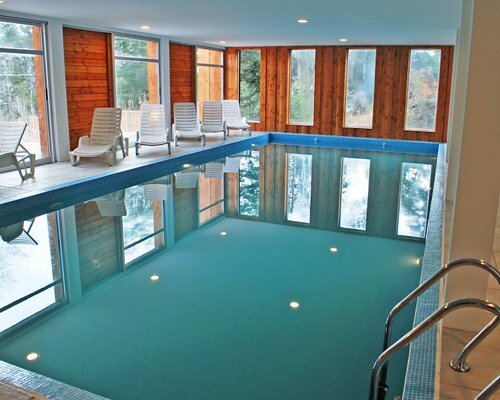 3 heated pools: an indoor gym and 2 uncovered pools with solarium. 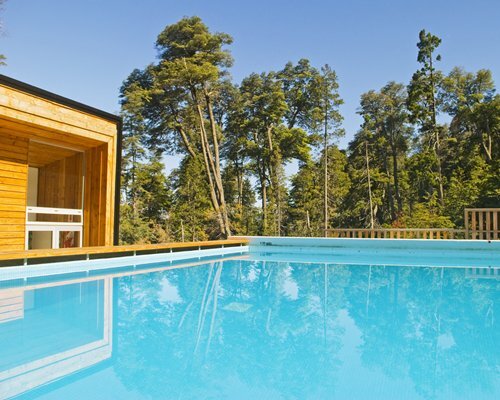 Spa with Jacuzzi, Scottish shower and sauna. Massage Room (for a fee). 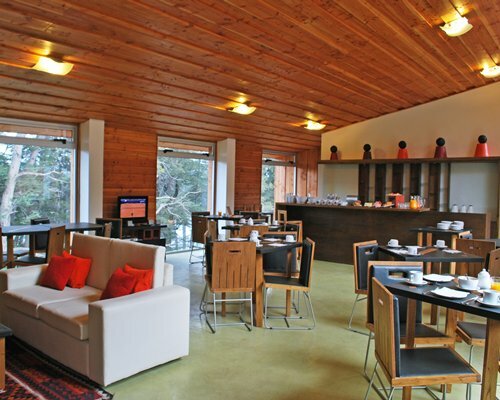 Club House and Bar with fireplace. Restaurant. 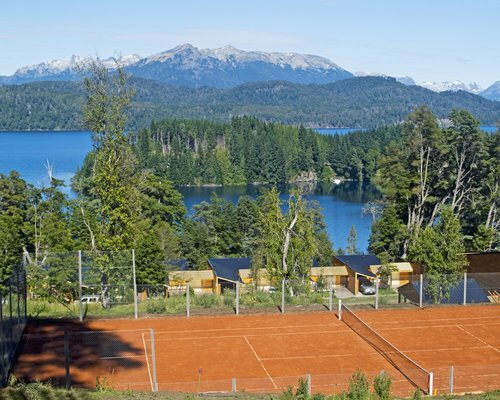 Kids Club (for kids 3 to 5, who do not wear diapers) Brick dust Tennis. Mooring of boats Wireless internet. 24 hs. security Golf (Golf Ruca Kuyen with a preferential rate) Reception. 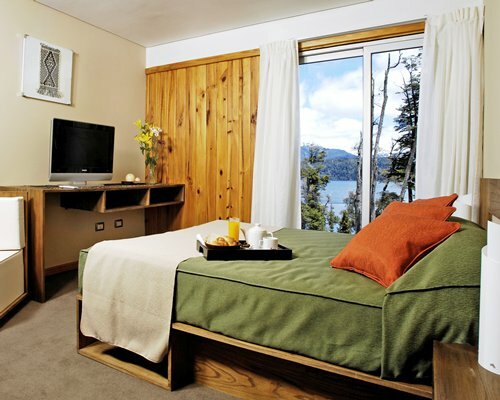 All units, due to their location, layout and large windows, enjoy a wonderful view of Lake Nahuel Huapi. 2 people: Room with a double bed, LCD, closet, bathroom with tub, kitchenette with electric stove, microwave, refrigerator, dishes and utensils. 4 people: two floor unit. 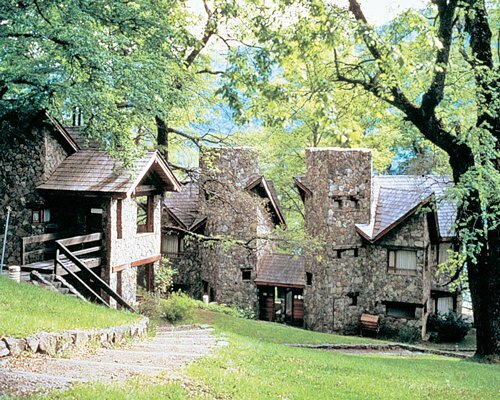 Upstairs, a living room with LCD, DVD, Home Theater, salamander stove, large windows overlooking the lake and mountains, full gas kitchen, refrigerator, dishes and utensils. 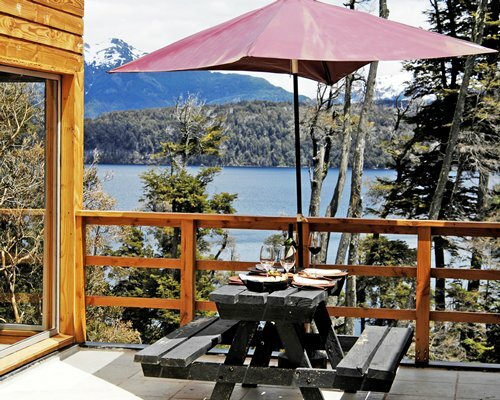 Terrace with barbecue and absolute lake view. Bottom floor, two bedrooms: one with a double bed and one twin beds with TV and Play Station (does not include games), closets, safe and telephone. Covered parking with ski and fishing equipment lockers. 6 people: Two floor unit. 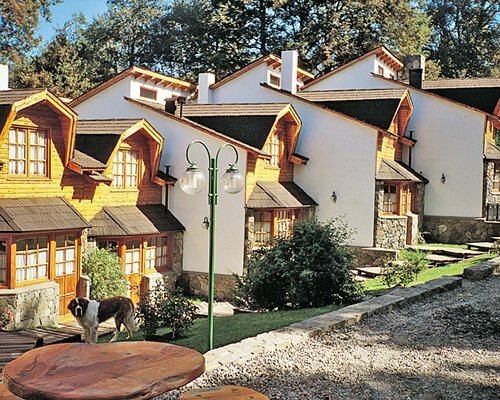 Upstairs, a living room with LCD, DVD, Home Theater, salamander stove, large windows overlooking the lake and mountains, full gas kitchen, refrigerator, dishes and utensils. A terrace with a barbecue and absolute lake view. 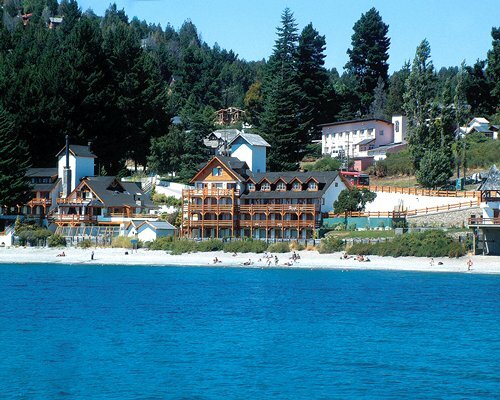 The nearest Airport is International Bariloche Airport, located 80 kilometers away from the resort. 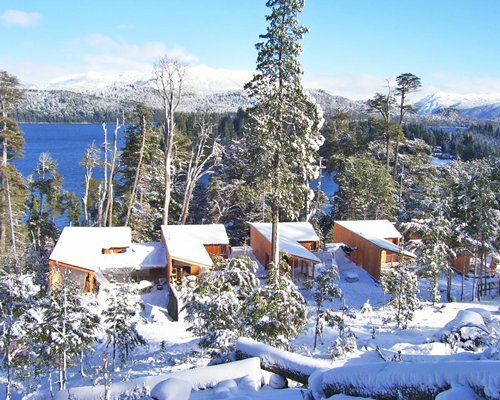 Take the National highway 231 towards Villa La Angostura. While there, follow the signs to the resort. Frequent charge transportation is available. Service fee is 250.00 local currency. Cash or Credit is accepted. Weekly fee in a 4 Pax unit. 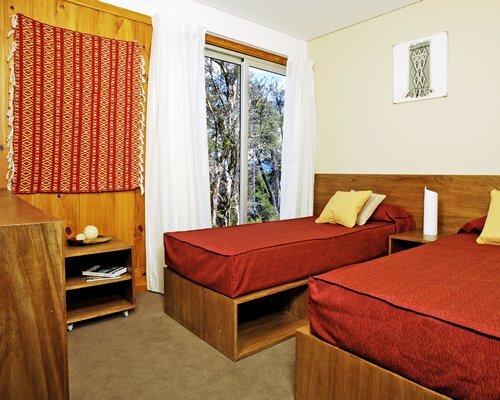 Includes facilities, daily housekeeping, recreational activities &amp; WiFi. Service fee is 400.00 local currency. Cash or Credit is accepted. Weekly fee in a 6 Pax unit. 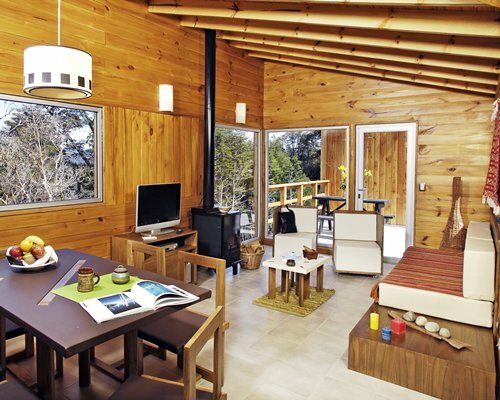 Includes facilities, daily housekeeping, recreational activities &amp; WiFi. Service fee is 150.00 local currency. Cash or Credit is accepted. Weekly fee in a 2 Pax unit. 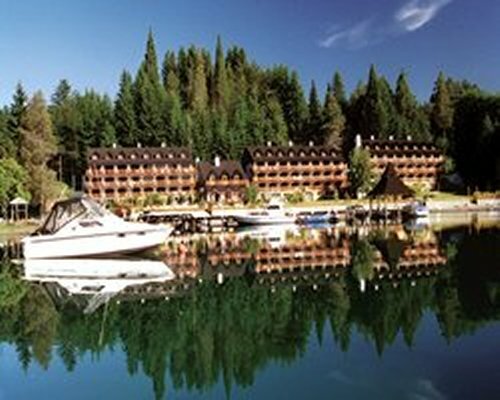 Includes facilities, daily housekeeping, recreational activities &amp; WiFi. Children as of 3 years old count as part of the unit's maximum occupancy; Babies 0-2 years old are included as extras in the room at no extra cost. 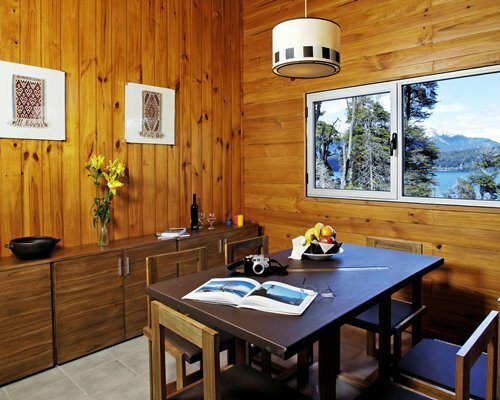 The resort provides cribs in the unit at no extra cost. 1 in 2 year rule: You can confirm any of the following IDs (6796 &amp; A774) only once every 2 years; Restriction is calculated per calendar year. Any violation to this rule will be cancelled. Bahia Montaña owners (A774) can confirm Bahia Montaña as many times they want, the restriction does not apply to them.